When we talk about taking the necessary precautions for fire safety, there are some things that cannot be seen as options but as necessities. 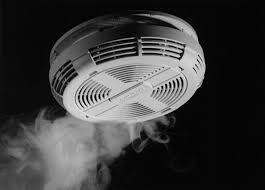 One of the most important fire safety equipment you can install in your home is smoke detector. Invest in a few smoke detectors if you haven’t already. As the only household item that’s on the alert 24/7 against the threat of a fire, smoke detectors save lives every day—and they could save yours. Invest in getting the right fire safety equipment for your household. Install dual sensor smoke alarms; make sure they contain both ionization and photoelectric smoke sensors. Spread them out on every story of your home, and definitely install them in the kitchen, laundry room, and every bedroom. Test your smoke detectors once a month. You can get reputable fire safety service professionals like us to come and take a look at your detectors for proper servicing. Replace the batteries at least once a year (possible exception: non-replaceable 10-year lithium batteries; still, be sure to test them); many manufacturers also encourage a replacement of the smoke detectors after a decade. Never disable a smoke alarm, including when you’re cooking. Open a window, wave a dishtowel to clear the air, and let it blast its warning that you might have just overcooked your meal. Smoke alarms for the disabled. Audible alarms are available for the visually impaired (the sound of the alarm shouldn’t be a monotone; a small pause of silence helps this person hear voices or other critical sounds in the surrounding environment). Visual alarms (with a flashing light or vibrating pad) are available for the hearing impaired. For more vulnerable residents, there are also smoke alarms with outdoor strobe lights (to alert the neighbors) and emergency systems for summoning help. Install an automatic fire sprinkler indoors. This is very important in case of a fire. The sprinkler helps quench the fire before it spreads. Procurement and installation of the right fire safety equipment is very important for every household especially for home where there are children and elderly people.